This website is primarily to talk about automobiles designed and built by Carroll Shelby. Although my focus is with Shelby Mustangs (and in particular, my TascaShelby Family of Vehicles), anything related to the man and his cars is welcome. There is lots of information out there about The Legend and his cars. He’s probably one of the most recognized names (brands) in the automotive world. 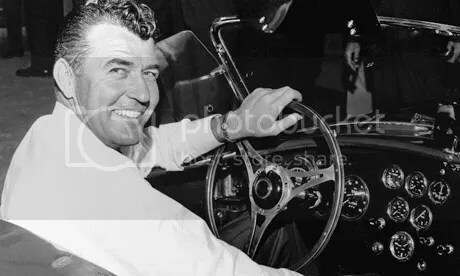 I could go on forever about all of his racing wins at Le Mans and everywhere else and about his automobiles, but a quick Google of Carroll Shelby will reveal a lot (some history here). For history on his cars, click Cobra, Mustangs or Dodge. He also has his children’s foundation called Carroll Shelby Children’s Foundation (CSCF) where he helps fund hospital and medical costs for families with children who need internal organ transplants. Mr. Shelby has several transplanted items himself and is the oldest living person with such. Another very important legend in the automobile, in particular – Ford, world is Mr. Bob Tasca Sr. Without him, there would be no Shelby association with Ford. Without him, there would be no Shelby Mustang, Ford Racing, John Force Racing (with Ford), Cobra Jet Engine, Race on Sunday – Sell on Monday, Tasca Racing, King of the Road Shelby and many other things. Without him, there would be no Adam’s “Tasca Shelby.” For more info about Tasca, see the link above called Tasca Ford. Here is a quick video of Bob Tasca Sr talking about how he introduced Shelby to Ford. 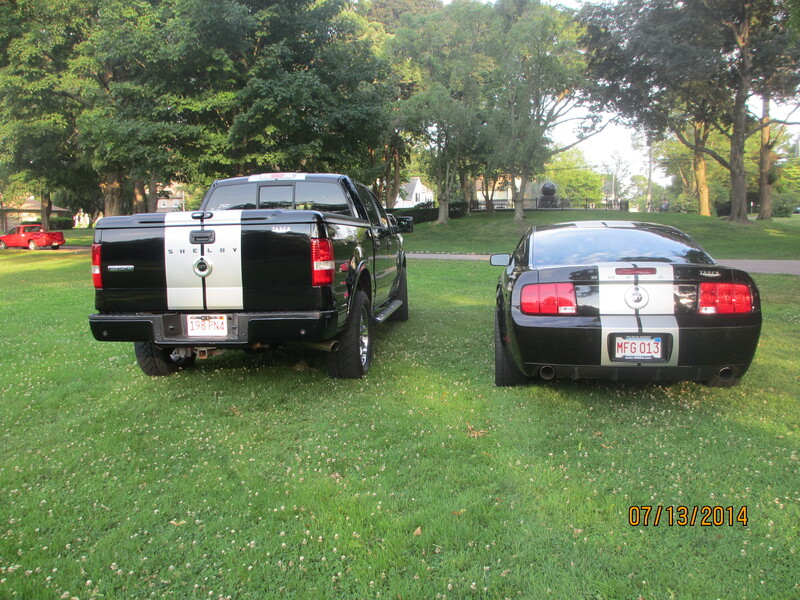 See My Tasca Shelby story to get a better idea of one of my greatest passions in life; owning my own Shelby. While you’re at it, check out the song I wrote about the man and his cars (good-lord-mr-shelby-adam-odwyer) is also on carrollshelby.com – it’s pretty cool having my name and song on that front page. Here is how I started it – on the teamshelby forum. Since writing this song, Amy and team at Shelby Autos made a video of it for the first annual TeamShelby event at the Mid America show in Tulsa. Here is a link to the video and discussion. Thank you Carroll, Amy, Doug, Barry, Manny and others for making that video, it is super cool. After that, follow my other exciting activities such as the 85th Carroll Shelby Birthday Bash (CSBB), news and events and some Shelby enthusiast friends of mine in the important people and Shelby Friends sections. If you have any questions feel free to email me at adams.shelbygt@gmail.com. 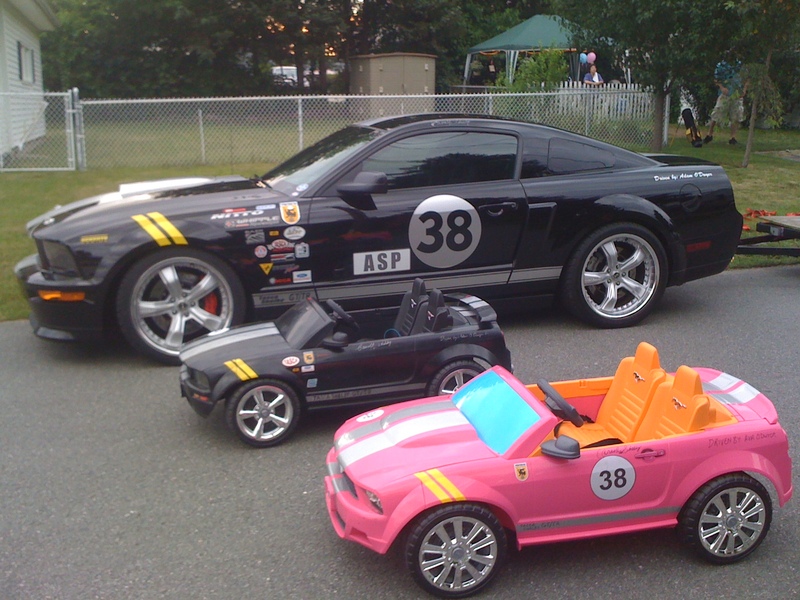 I hope you’ll also enjoy the story about my son Adam Jr’s (AJ’s) Tasca Shelby Jr car. He already has the passion about the legends above and their cars. 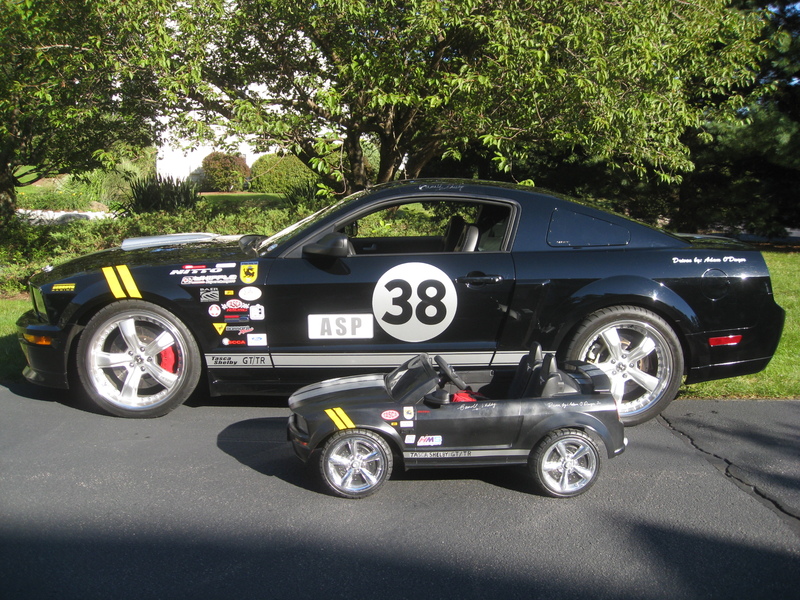 I finally had the opportunity to make him his own Tasca Shelby Jr. For the last week or so, I had been out in the workshop painting his new car I got him for his birthday. Then I couldn’t wait any longer and had to give it to him. Click here for more pictures. It has been a tough week. I’m sure many have heard that Mr. Tasca has passed away this Friday, Jan 8. I am really sorry to hear the news. My condolences to the whole Tasca Family and all those who’s lives have been affected by such a great man. May he live forever in the automotive world. Hey everyone, there is going to be a huge announcement tonight at the Barrett Jackson gala. Make sure you’re watching the TeamShelby site for the live feed. I can’t wait as I know it’s going to be awesome and have been waiting for months. Mustang Monthly just posted the details of the event so check their site as well as the Shelby American site. Get your checkbooks ready. LOL — UPDATE 11 PM — for more details on the new GT350 go to the Mustang Monthly, Motor Trend or Team Shelby sites. 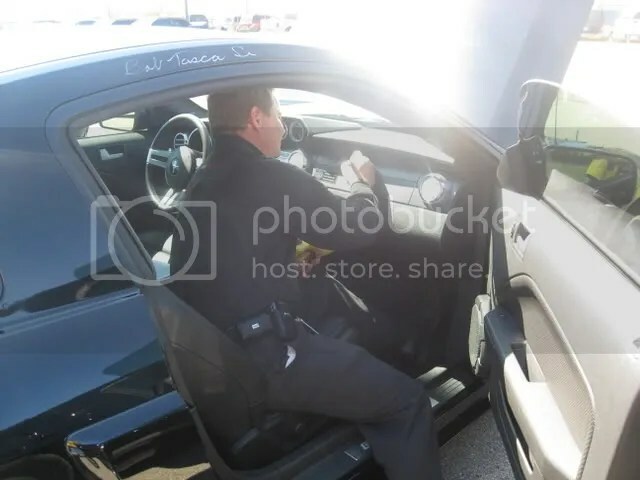 Well, I finally got around to posting some pictures of some of the signature on my car. While some of these are repeats elsewhere on this site, I wanted to put these pics up on this front page. John May, SVT Test Engineer – tested random GT500’s that left the SFT/Ford factory. He took a test ride in my car and gave me a certificate and said my car was the only Shelby GT that he tested and certified. Steve Magnante of Hot Rod Magazine and Speed Channel also signed my car. Steve wrote a story about a junk yard here in New England that was getting rid of most of their old Mustangs. That same magazine had an article about a 1967 Tasca Shelby owned by Mike Stickney. That article helped me show Shelby and Tasca exactly what I wanted to do with my car and also justify why Tasca and Shelby needed to be partnering again. I scanned it and sent it to Amy at Shelby and brought it to Tasca (I had already been talking to both for months as to why they needed to work together again) and next thing I know they call me and tell me they inked a deal. Woohoo! 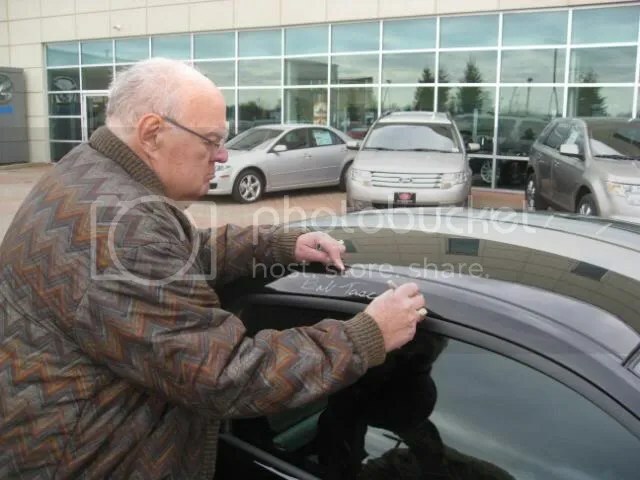 Anyway, here is a pic of Steve signing my car. Great meeting you and the other’s on Saturday 1/12/08 for CSBB…. Your car is awsome. Definitly something to be proud of. Hope you guy’s finish off the weekend in style and looking forward to a story or two. Great story Adam. Glad everything worked out for you. It’s Chrissy from Rite Aid. Just wanted to let you know I checked out your site and your car is beautiful!! You’ve accomplished so much already. Congratulations on winning the trophy. Best of luck in everything you do and God Bless!! Hi Adam, great job on the site. Thank you for inviting me! I’m obviously on here now. Will check out the database. Thanks for taking the time to speak with me and my wife at Stoneham Ford on sunday July 20. 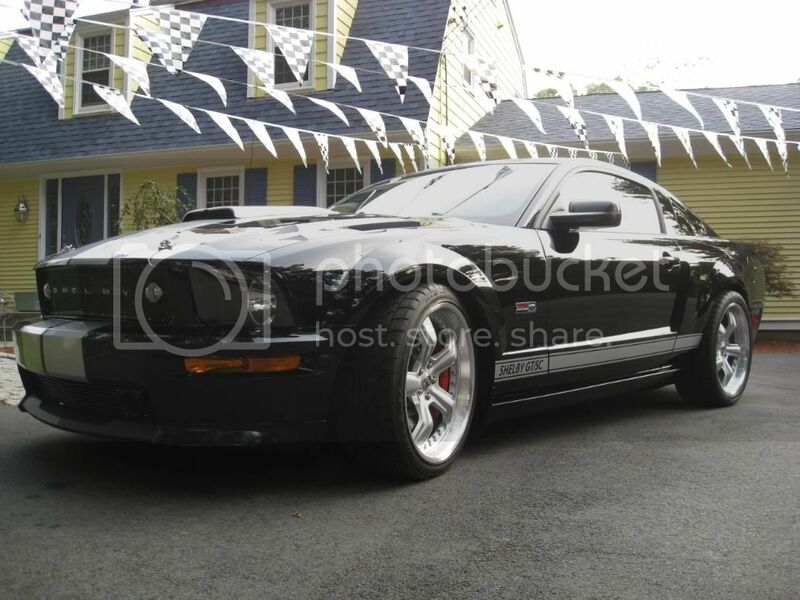 Your Mustang looks awsome, loved all the mods and one of a kind front pieces. 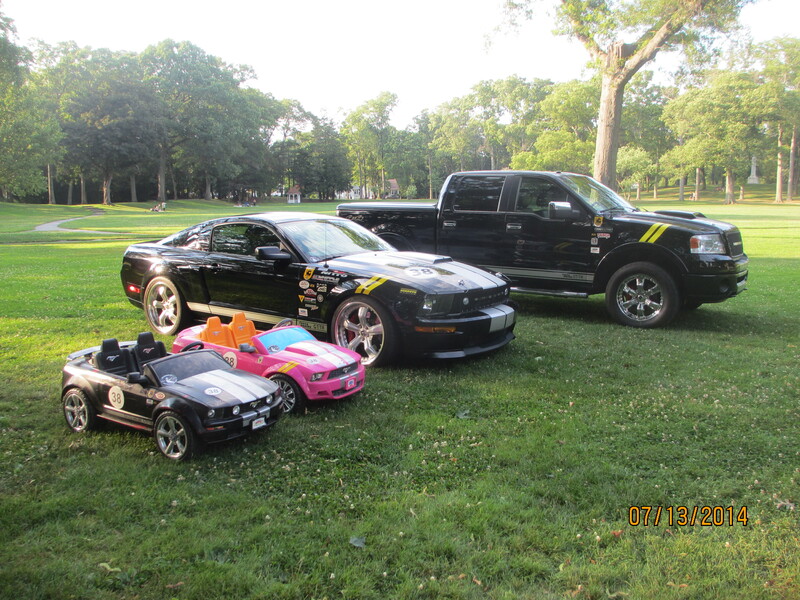 Keep doing what you are doing we Mustang enthusiasts love it. 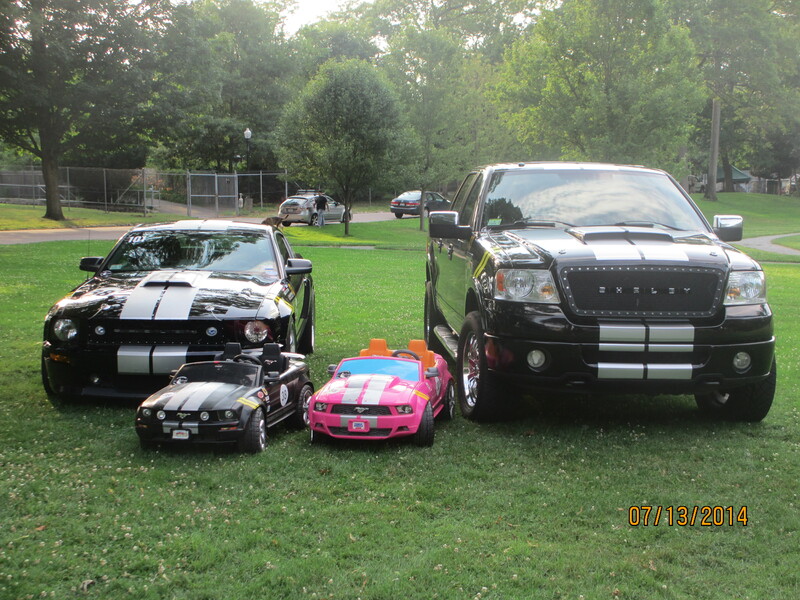 Met you at Sam’s Sunday July 12, 2009, I’am the one your son keep following to park next to you, 2007 Shelby GT500 Cobra Black, great kid be proud, Told my daughter about the car you made for him she wants one of course she’s 26. you known she’s after mine, ha, ha, no chance. Good Luck, hope to see you next Sunday, this time save a spot, I’ll park next to you. Thanks JV. It’s now on Google groups and the video is on YouTube. 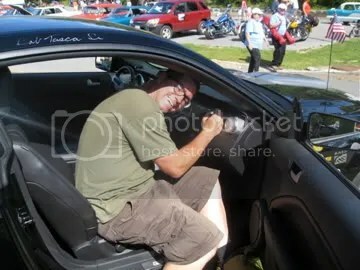 Hey Adam thanks for taking a the time to join http://www.clubshelby.com and talking to me this afternoon. I have joined the linkedin group (just pending approval) as we spoke about and added you on twitter. For those of you who do not know of http://www.clubshelby.com, let me inform you that this morning we launched the first social network exclusively for those who are Shelby Owners and Enthusiasts to the Shelby brand. It’s not just another car forum but an entire community with tons of cool networking features. join today, and help us grow by spreading/inviting those who share the same interests. Once again Adam thanks for supporting us! it means a lot. Send me an email and I am glad to help. My email is on this website and the TeamShelby site. 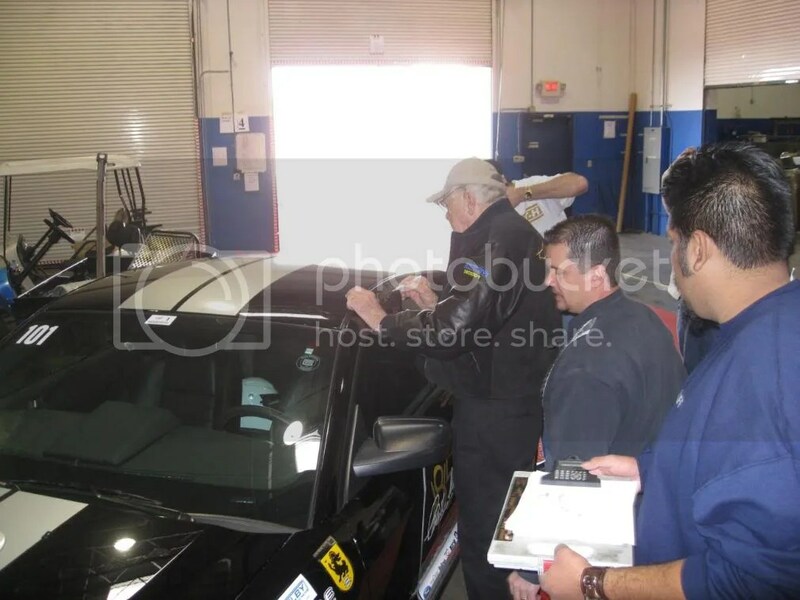 I am helping a friend try to research or track down a Certificate of Authenticity via VIN or other numbers for a Carroll Shelby signed Mustang that is part of an estate – can you direct me to any resources that might have that information available. Yes, if it is a newer model Shelby, you can try Roger Sorel at Shelby Autos (now Shelby American again). If an older vintage model, try someone at SAAC.com such as Rick Kopec. Depending on the model and year, there are different Registrars who can help. The names I mentioned above are in charge of the different Registry’s. Roger runs the whole program for Shelby American overall. They are all great people, very knowledgeable, are involved with incredible cars and a great company. They would need the Shelby number (CSM, CSX…) and if a Mustang, the VIN would help too. Good luck. Is there a phone number for SAAC in CT? Read your post on another site regarding using an 2007 SGT as a daily driver, etc. 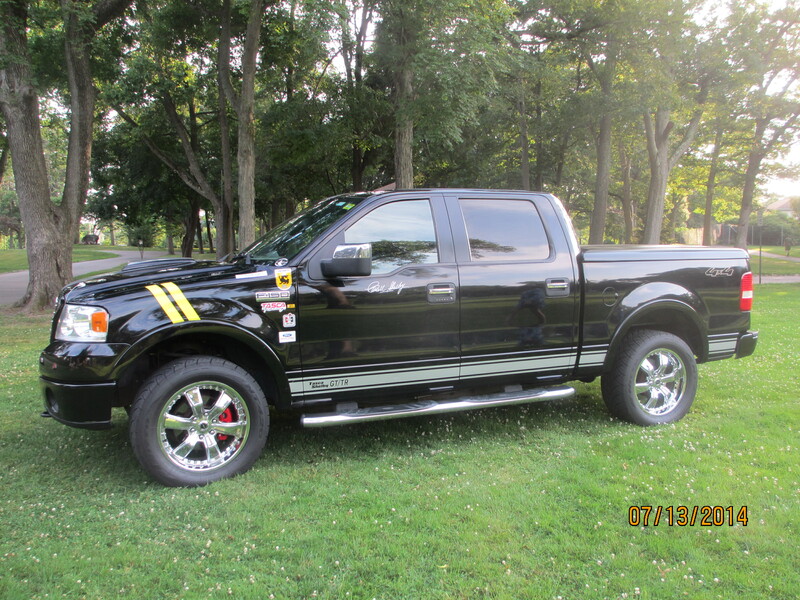 I am looking at a ’07 black SGT with 1400 miles, extended Ford warranty until 2015 (?) and a “Ford added” supercharger. Will probably look at the car this Sunday which is about 200 miles from me (can be seen on California Bay Area Craigs List). Asking price is 28k and I’m confident I can get for 25k. Concerns are: Daily driver satisfaction or frustration, resale value if s/charger is Ford added vs Shelby added, reliability. Any other tips would be appreciated. Chuck, thanks for reaching out to me. You’ve made a great choice and you won’t be disappointed and with a supercharger. That’s a pretty good price, especially with low miles. As a daily driver, as Bob Tasca always said, “you will be satisfied.” The only issue I see is that with the power and looks, it is very hard to not want to go wild every time you get in the car. I’ve gotten used to simply driving at the speed limit to avoid trouble. I wouldn’t worry about resale value. No matter what, the car will retain value over time and after this economy comes back. Plus, it’s really all about you (and your family) enjoying the car. As for reliability, Ford has not only won awards for the Mustang, but for the last 6+ years, their overall quality has improved drastically and has even pulled ahead of Toyota. As for other tips, I always recommend to do a brake upgrade if you have a supercharger. You need to be able to stop better with that kind of power. Don’t forget to post a link or two of some pics of your car. Let me know other options you are planning. Hey Jonathan, it’s great to hear from you. I am so sorry I didn’t reply sooner, I didn’t even know I had this request. Yeah, it’s really hard to price out the GT/SC since not too many sell out in the public. I’ve seen some online in the $30-$50k range but don’t recall details of them or whether they sold for their asking prices. Very nice car. I am #4507 from 2007 and mine is black also. Added Vortech V-2, Aluminator SC shortblock, Roush mounted boost and A/F guages, dual fuel pumps, upgraded intercooler and some dress ups. Those wheels look great but my car is lowered too and I am not sure what I can run on wheels and tire without rubbing (those Razors are perfect). Any chance you can share wheel and tire size? 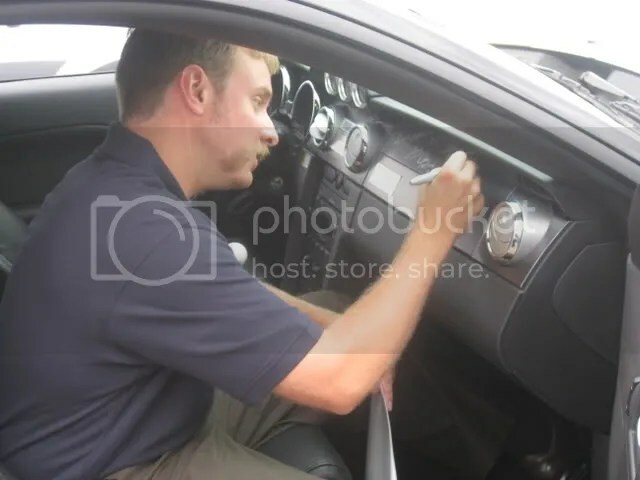 Did you have to do any special mods to make it work? Thanks and I enjoyed reading all the articles about your car. Thanks Jeff. The Razors are 9″ in front and 10″ in rear, I believe. The front Nitto tires are 255’s while the rears are 275’s. I had 305 Nittos on the rear for a while but they did rub. They would fit, and I think even 315’s fit on the rear, but you need the right offset and I don’t think American Racing makes those wheels anymore so I think it would be really hard to find the right offset. If you can find the silver Razor’s anymore, I’d max out with 285’s in the rear. Whats up very nice website!! Guy .. Beautiful .. Wonderful . also love the theme/design), I don’t have time to browse it all at the moment but I have book-marked it and also included your RSS feeds, so when I have time I will be back to read more, Please do keep up the awesome job. of posts down. prestigious job! I just added to my Google News Reader. Nice website.. How much does the 2007 Shelby costs?